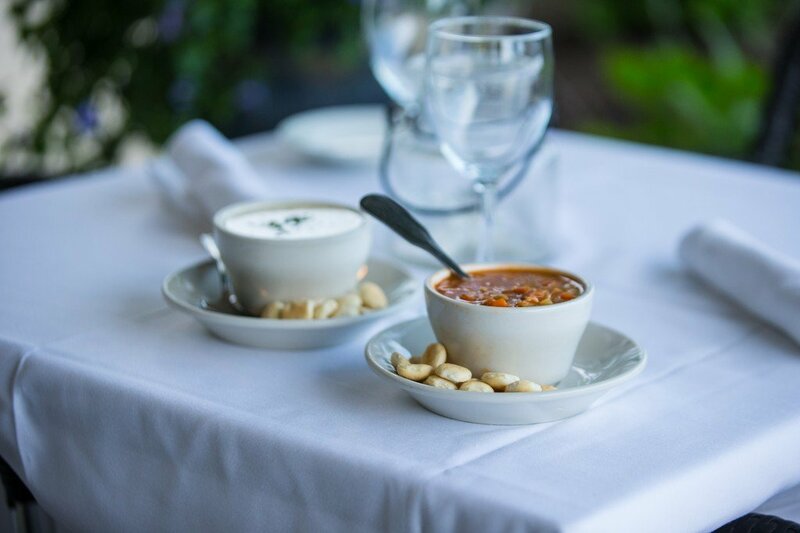 Stefano’s New England & Manhattan chowder has been winning awards from various chowder festivals and praise from thousands of customers for over two decades. Most recently, Stefano’s has won the title of World Champion of New England Chowder at the International Chowder Cook-off in Newport Rhode Island. Stefano held the grand prize for 2012, 2013 and 2014 and is now inducted into the Hall of Hame. The International Chowder Cook-off hosts contestants from around the world and over 8000 visitors sampling 150 gallons of Stefano’s chowder. 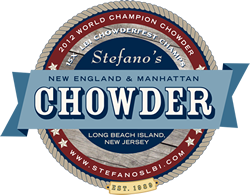 In the annual Chowderfest held in our hometown of Beach Haven, Stefano’s has won for both New England and Manhattan chowder since 1995. Stefano’s has entered the Manhattan Chowder for the past three years and was awarded both the grand prize and Critics’ Choice. Annually the Long Beach Island Chowderfest is held the first weekend of October where you can find the Stefano’s team serving Manhattan chowder to happy customers.